Taking on the super duties of being a room parent this year? 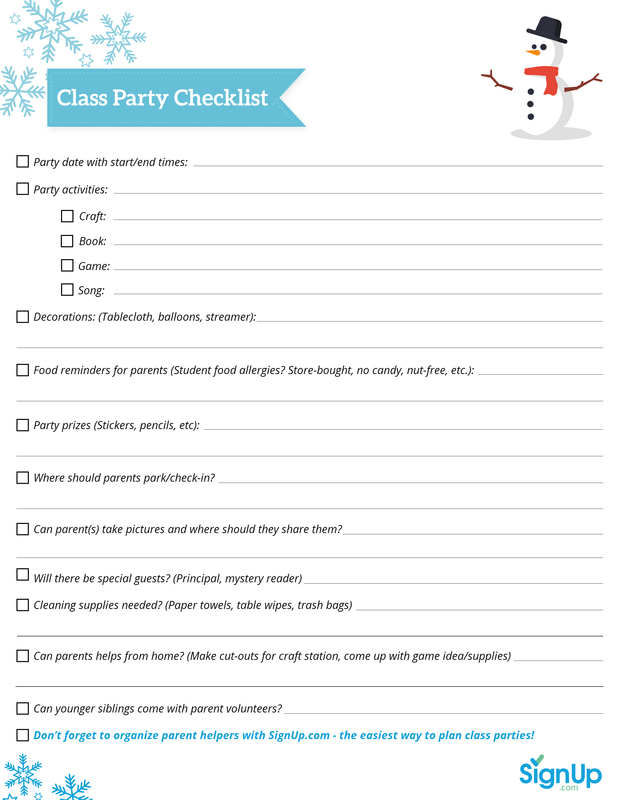 SignUp.com is your go-to class party destination! 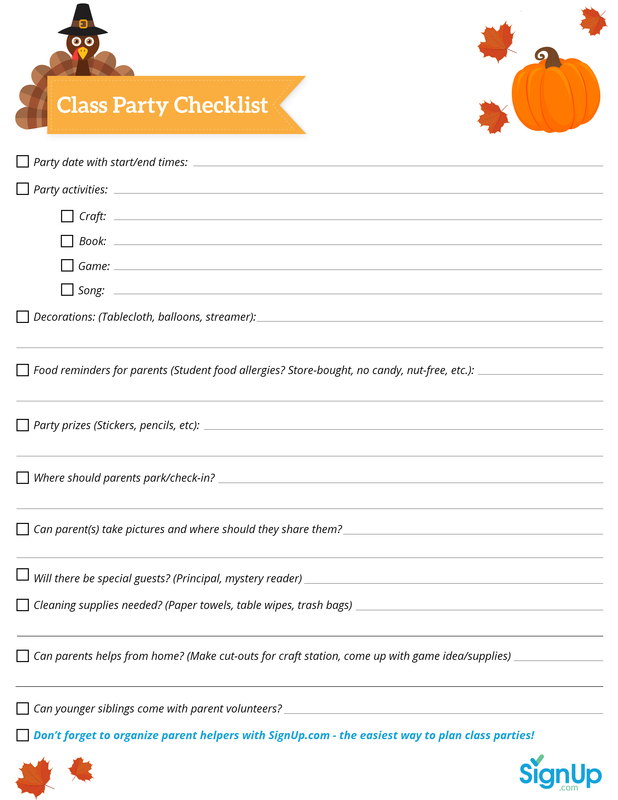 Check out these class party reminders below (and use the free, downloadable checklist for Thanksgiving and holiday/winter season at the bottom - simply click and print)! - What will party activities does the teacher want? - What simple decorations do you want? - Have FUN and don't sweat the small stuff the Kids will LOVE this special day! - Celebrate a job well done!